Meant to say this gets a decent write up in which magazine. Thanks, it's an interesting read but from what I can see 6 years is just the amount of time the customer has to claim there was a fault at time of manufacture if the fault develops more than 6 months after buying it. This is regardless of the length of the warranty the customer was given. Unfortunately the legal/engineering costs to prove this would typically be prohibitive as a standard consumer/customer for low range items - I suppose mid/high-end stuff might be worth pursuing though? I get that - but ao sold you an appliance with a 12m warranty, not a 5 year warranty. Unfortunately, if it lasted at least 12 months then that’s exactly what they did (by the book). I don’t know much about the 5 year malarkey but as it’s not offered everywhere then I’m guessing it isn’t an obligation or mandatory, and it’s up to the retailer on ad hoc basis. Ultimately sony is at fault for making a product with short lifespan - planned obsolescence really annoys me. Wouldn't that require a speaker? Loads on stock in Northfield. Labelled at £2/£1.50 but scans at 50p. Energy efficiency is only A+, would invest in A+++ since of the frequent use. That looks like such a nice Miele, mind if I take a selfie? I doubt it - the newer Miele dishwashers (even full size) are made in various places, including the Czech Republic. No big deal - if the quality control's right it doesn't matter where they're made. And the Skodas coming out of the Czech Republic are more reliable than the equivalent VWs made in Germany. Mmm. OK, it's very cheap, but read the reviews. Even Chinese manufactured dishwashers vary in quality. Personally if my budget was limited, I would be inclined to consider the Argos Bush branded dishwashers, which are surprisingly reasonably built and reliable, given their entry level pricing. Get the timing right when they are on sale or clearance and it won't cost much more than these Swan models. our swan dishwasher was really poorly made. drawers fell apart and the water spinners broke. 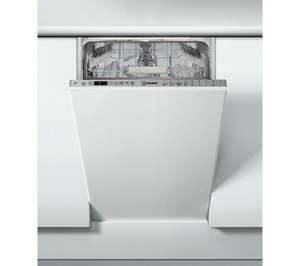 spend a bit more on a white knight fab dishwasher and so much better made than Swan. I would like to know who really makes this, there is no such manufacturer as SWAN, this is just a brand name to try and entice you to believe you are buying a branded quality item. Never miss a 'Dishwasher' deal again! Spotted this deal in the upcoming Costco member offers for 4-17 March. Works out at slightly less than the magic 10p/tab. Thanks, not tried these ones as I'm still working through a load of Fairy ones I got from Amazon a while ago. Was tempted to pick these up for the price but will keep an eye out for Fairy ones in HB/B&amp;M as you suggest. These are rubbish save your money, only tablets that don’t clean all the dishes, Finish suggested using two tablets. Plenty of smiliar comments on other threads, we ended up passing ours to two friends who both had issues and they ended up in the bin, Finish were good though gave us some vouchers for the inconvenience luckily they sell other items as well. You can always get Fairy any if theirs including the platinum ones for less than 10p at Home Bargains or B&amp;M.
Hot deal but out of stock. My bargain bosch has just died after 3 years, I'm hoping it's just a broken socket or fuse. OK - I've changed my mind and gone for this, with an additional 5% cashback as a Co-op member, and a possible further 6% Quidco. The £50 cashback is definitely payable, and a Miele for this price (around £333) is about as good as it gets. Thanks OP - heated. So eventually Bosch approved my cashback request. So I got eBay discount + cashback and total price was £305. Not bad of a deal! Just depends what it says on the invoice they send you, would've thought you'd get a proper Co-op one though. Got one of these a few weeks ago and very impressed. Wasn't sure about the cutlery draw to start with but totally sold now although does knick a bit of room for big stuff in the top drawer. The posted one is technically a higher model due to some extra sensor making it a bigger bargain in monetary terms, and when comparing prices make sure to look at the '09' on the end, many SMS46IWs are lower models for more money. To be fair it does state this on their website but may still catch some people unaware.£44 may still seem pricy when it will probably take them ten minutes to install. In what respect exactly? price has risen by £40 today just when i went to buy as my indesit has packed in. Won't drain. The fitting is pathetic. All they do is fit it if you've had a dishwasher in before. If you don't have the correct plumbing, i.e. a dishwasher tap fitted then don't bother. Be careful buying appliances from from Currys. To wriggle their way out of price matching, they have custom model numbers and they deliberately make them sound like much more expensive models. For example, the SMEG DI6013 is a much higher spec machine than the DI6012 so more expensive. Currys sell what is basically the 6012 with a different tray inside labelled as the DI6013D to try and trick people into thinking the currys price is cheap, rather that an inferior machine. What is it with dish washer manufacturers not including the correct instructions. Searched the internet for ages about how much water and salt to add. The common idea was to fill the salt container with water and then use salt to displace it till it full. Sweet fa in the manual. Whether or not you go for 45cm or 60cm depends on your criteria. If area is limited then 45cm would be a forceful choice. Otherwise I would pretty much recommend 60cm as 45cm capacity is just about enough for one individual. I don't think slimline dishwashers use any less water or electric really. Dishwashers are pretty miserly for water and electric anyway, about 10 litres and 1 kWh of electric c15p. A washing up bowl can be more than 10 litres, so makes sense to chuck everything in a dishwasher every night. uuumm i can see it has feet but these are normally to adjust for unlevel floor not to prop the unit up an two extra inches, would little plastic feet extended to full height not be dodgy, with a full load of dishes and water in? Code does not work No item in your basket qualifies for that offer. Is is standard size. There's a screw on the front that will push it up to around 870-880mm or so in other models, I'd expect this to be similar. Beware. Ended up buying a new set of plates after telling the gf to "Hoover the dishes". I’ll tell you what go back to my first comment again, then read the OPs response. Finally come back and tell me I’ve been quick to judge or have an affiliation with Samsung. Read my comments again: that's why I said " If" the top track is too low. However, you don't know what size their plates are and that the rack is not already in the raised position, but you seem very quick to criticise/defend the product (Connected to Samsung?). Even if that is the case, with the plastic spinning arm. It’s only hitting as the top shelf isn’t adjusted properly. That isn’t a product fault. The chipping is probably from the spinning water arm. If the plates are too big/top rack too low, then it may be played can only be loaded at the very edges or slanted. It seems like ancient history these days but as recently as thirty years ago, most people washed up their dinner plates by hand. It may have been bad news for washing up liquid manufacturers, but nowadays, automatic dishwashers can handle almost any stains and dirt, leaving plates, cutlery and pans ready to use straight away. Without them, using our kitchens would be a whole lot more time consuming and tiring. However, dishwashers aren’t a small investment. They are sophisticated, expensive pieces of equipment with complex specifications and plenty of varieties. This buyer’s guide will help you find one that meets all of your needs, at the lowest possible price. 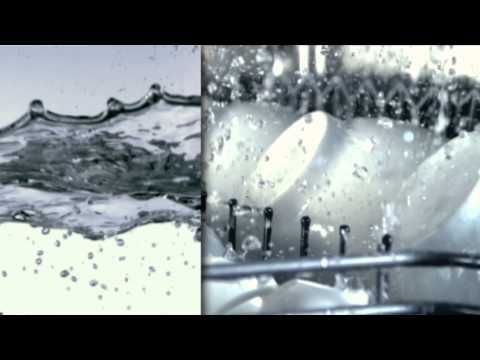 The idea of using electricity to power cleaning brushes and heated detergent isn’t a new one. In fact, the first dishwasher patent was filed in America in the 1850s (although in that case, the power would have been supplied by a hand crank). It took seventy years for the first economically viable and effective electric dishwashers to come onto the market, with manufacturers like Miele leading the way in the 1920s. As more houses acquired heated water and the cost of heating fell, mass production commenced. After World War II, people started to demand more convenience. They wanted devices that would cut the time consumed by housework, leaving more time for leisure. Gradually, dishwashers became a standard feature of European and American kitchens, up to the present day when around 80% of homes have (at least) one installed. Although they often come with complex computers to run their various washing programs and schedules, modern dishwashers tend to be fairly simple mechanisms. Most British models use either two or three spraying arms to distribute pressurised water across the inside of the dishwasher. These arms are situated on the base of the unit, at the top and at the back, allowing manufacturers to retain the central space for shelves and removable compartments. Items placed inside the dishwasher are then cleaned by a combination of the high pressure heated water supplied by these jets, and detergent tablets placed inside the unit. Almost all dishwashers have a maximum recommended capacity which reflects the power of the jets and the storage capabilities of their racks, and above this level the cleaning potential of the device rapidly falls away. In addition, most dishwashers feature devices that evacuate dirt and food particles from the inner chamber, increasing the efficiency of the device. Some even have the ability to sense the quantity of dirt on the dishes placed within the chamber, modulating the amount of water and washing time to suit the load – although these tend to be higher-end models. Most devices also have drying phases, which relies on heat from the dishwasher itself, rinse-aid chemicals or fans – depending on the model in question. Freestanding – These are the most common type of dishwasher and can be added wherever you need them, whether that’s in a kitchen alcove, your shed or a separate laundry and washing room. The term freestanding simply means that they are not physically connected to the units in your kitchen, and that the unit is secured only by its water and electricity connections. They tend to have horizontal doors that are clearly visible from the outside and are a great option for people who are confident that they will be moving home in the near future. Integrated – By contrast, integrated dishwashers are, literally, part of the furniture. They are designed to slot into kitchen cabinets as an integral part of the room’s design. They can be fully integrated, which means the device is concealed behind a door in the kitchen cabinets, or partially integrated, where some elements (like the control panel) are left visible at the top of the device. There is no technical difference between integrated and freestanding dishwashers. The differences are aesthetic and practical. With an integrated device, you can design its placement to fit in with a sleek, modern kitchen design, something that’s hard to do with freestanding dishwashers. Low cost or budget dishwashers – These devices have fewer features than the deluxe versions, but they will usually come with decent capacity, a good range of storage racks and the power required to clean their optimum load efficiently and reliably. Don’t be fooled too much by their price. Higher-end dishwashers are different, to be sure, but low-end models are still technically competent, and often feature functions like dirt-sensors that you might expect from more expensive models. Deluxe dishwashers – With devices like this, you should expect something exceptional. Expect a greater capacity, more slots for the various kinds of kitchenware, a wider range of programmable settings, soil sensors, better energy efficiency and more longevity via features like stainless steel interior casings (as opposed to plastics used in cheaper machines). Compact – These smaller dishwashers could be as small as larger microwave models and can stand on top of kitchen work surfaces. Generally around 50cm wide or a touch more, they are ideal for households with a single or a couple of occupants and can save money by using far less water and electricity. 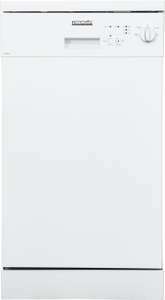 Slimline – A step up from compact dishwashers, slimline models can actually be slimmer than 50cm but are much taller. They are designed to sit below kitchen work surfaces, and have far greater capacity, suiting properties with 3-4 occupants and often accommodating 100 items. Full size – The largest category, full size dishwashers are 60cm or more in width, and have space to handle the dishes of 5-6 people (or around 150 separate kitchenware items). In general, it’s a good idea to purchase a dishwasher that has enough capacity to handle the needs of the residents of your home. If you are on the cusp of two categories, it’s probably worth going for the larger model. They will tend to be more efficient than smaller dishwashers, but with one caveat: they need to be operated at full capacity. Anything less, and you’ll be losing money compared to the outlay on a smaller model. So plan your dishwashing requirements before you make a purchase. Dimensions – Often, this is the most important measure. Dishwashers tend to come in standard measurements. In the UK, this is a base of 60 x 60cm, and a height no more than 84.5cm. Anything larger, and you’ll struggle to fit your machine into ordinary kitchen alcoves, although some integrated models come with irregular dimensions to suit particular spaces. Energy Efficiency – In the UK, you’ll find that dishwashers are graded like school essays, from lowly Cs to stellar AAAs. Never go for a B or C rated device. These are becoming completely outdated and their high running costs will outweigh any savings on the device itself. Instead, always try to go for AA or AAA rated machines. Water Consumption – All dishwashers consume large amounts of water, but some consume more than others, and this can lead to higher or lower running costs. Again, water consumption is graded alphabetically, so opt for A rated devices (which use around 15 litres for a single wash, compared to between 40 and 150 litres for washing the same amount in a sink). Capacity – Even though their dimensions tend to be fairly similar, dishwasher capacities can vary. They almost always use the term “place setting” to describe their capacity, which corresponds to a plate, knife, fork, spoon, cup and saucer and two bowls (so, more than you might think). Between 8 and 12 place settings is adequate. Cleaning rating – A measurement of how well the dishwasher removes grease and food waste from the items placed inside it. As with efficiency, this is graded, with A at the top and G right at the bottom (don’t think about anything lower than a B). Drying performance – Another key metric, drying performance relates to how well the dishwasher dries the items inside it. A good rating means less work when you remove items, which can be extremely annoying, having shelled out hundreds of pounds for a dishwasher to do the job for you. Noise levels – Dishwashers are noisy machines, or at least they can be. The very best models have found ways to dampen the noise they generate, reducing their internal vibrations and running, if not silently, at very low noise levels. Noise is measured in decibels and a good noise rating should be around 30-45. Don’t accept anything above 50 these days. Noise isn’t annoying, it’s often a sign that the machine is operating inefficiently and that it may not last longer than a year or two. 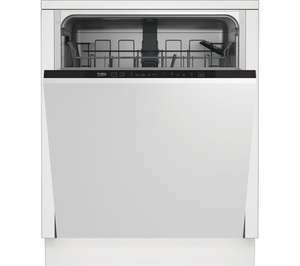 Racks and storage – Always check the range of racks, boxes and shelves on offer when you buy a dishwasher. Every model is subtly different, with varying racks for mugs, glasses, plates, pans, sharp items and pots. Extra features – Dishwasher listings will always have any extra features listed, many of which may sound exciting, but should come as standard. For instance, “fast cycle” just means an express wash setting. There should be an economy cycle to save water and electricity, intensive washes for caked on dirt, half-load options for smaller loads and options for delicate items like glass. Double check that these cycles are included though, as you can’t take anything for granted – particularly with older, lower-spec models. Basin material – The basin is the interior lining of the dishwasher and what it is made from makes a big difference. The best dishwashers come with stainless steel basins, while cheaper models will feature plastic basins. Steel basins last far longer and could avoid the need for replacement after a couple of years, saving you money. Filters – on lower-spec dishwashers, dirt and grease filters will be present, but they may need to be emptied exclusively by hand. This isn’t just inconvenient and time-consuming. It’s also a fairly unpleasant chore. More advanced dishwasher models will come with automatic filters – a real godsend if you find that your dishes are regularly caked in tough-to-remove food waste. Display type – Dishwasher displays are now standard (although smaller models may still just have a few buttons and dials). Look for larger displays with bigger keypads (or touchpads), as these will be easier to customise and navigate. LCD displays are currently the gold standard and are extremely useful when programming your machine to carry out specific cycles. Dishwashers can be temperamental beasts, but if you want to keep them in perfect running order, it’s essential to maintain them properly. If you do so, you may well delay the time when a replacement becomes unavoidable, saving hundreds of pounds. Given the pace of change in dishwasher technology, replacements are rarely due to new features or technology. Breakdowns are far more common, but these can often be avoided by treating your device kindly. The first thing to remember is to load your dishwasher according to the manufacturer’s specifications. Overloading can place extra physical strain on the racks, and on the cleaning jets, leading to gradually diminishing efficiency. It’s also important to use the right dishwasher tablets. These are the detergent pills that need to be placed in a compartment (usually at the base of the machine). How does this matter to the longevity of your machine? Well, actually the detergent you use matters a lot. If you are in an area with hard water (containing a high concentration of minerals like calcium carbonate), use tablets or dishwasher salt with a higher phosphate content to soften the water. This prevents the build-up of limescale on the interior of the device, which can be a pain to remove and can ruin its effectiveness. Cleaning your dishwasher filters is also very important. The best way to do so is to soak the filters in warm, soapy water, then replace them in the dishwasher. Now, pour around 400ml of white wine vinegar into the machine and run it (empty) on its heaviest setting. After that, add a little baking soda to the machine, leave it overnight, and then run another cycle. It sounds laborious, but it’s worth it to keep your machine running perfectly. Bearing all this in mind, it’s vital to buy a good dishwasher cleaner (for the interior), and tablets that correspond to the type of water in your area. You can find popular tablet brands like Ariel, Finish and Fairy from major UK merchants at the HotUKDeals dishwasher listings. Buy a dishwasher that has enough capacity for your family, and maybe a little bit more, but always aim to run the device at full capacity. Don’t end up with a massive device that is always empty, as this will cost you money in the long-run. Make a decision about whether to go for a high-end, technologically advanced model or a less efficient budget version. Remember, the differences are not dramatic, but the range of features and steel basins of higher-end models might be the deciding factor. Efficiency varies, and superficially attractive deals can look a lot less appealing when you work out the running costs of a dishwasher over a matter of years. Integrated dishwashers are a great idea for people who intend to stay out for a decade, but with a freestanding model, you will have more flexibility, being able to take your machine with you to your next property. Treat your dishwasher well, and it will reward you with years and years of efficient cleaning, low operating costs and no need to pay exorbitant repair or replacement costs. Whether you are going for a tiny worktop dishwasher or a souped up technologically advanced integrated monster, you should be able to find deals that undercut face value prices, so always shop around. When you are buying a dishwasher, the HotUKDeals dishwasher listings are the obvious place to start your search. You’ll find all of the world’s major dishwasher brands represented, including Miele, Bosch, Samsung and Whirlpool. 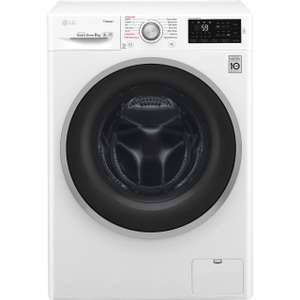 You’ll also find deals from famous UK white goods retailers like Currys, Tesco, Argos and John Lewis. Even better, our users regularly post deals for vital dishwasher accessories, like tablets from Aldi, Sainsbury´s, Tesco or Asda. Have a look at online sellers as well. Amazon is a surprisingly good place to hunt for cheap dishwashers and tablets. The important thing is to widen your options as much as possible, and there’s no better place to do so than HotUKDeals. There are also some good times of year to focus your search. In November, Black Friday tends to see white goods retailers tabling some incredible discounts, as do the January Sales. But you can never tell when big brands will be reduced. All you can do is bookmark HotUKDeals and keep track of the discounts as they emerge. Having the right dishwasher is vital for home owners these days. Dishwashers have become an integral part of everyday life, and when they break down the consequences can be dire. Find the perfect model for your needs by checking out the HotUKDeals dishwasher listings, where you’ll find the world’s leading dishwasher brands, from the UK’s leading white goods retailers.